Do your kids love to play with Play Dough? Mine sure do. Well, my seven year old son has pretty much out grown it, but he definitely loved it back in the day. My four year old daughter still loves to get out every single color and create her masterpieces. My mom is quite the artist and she has always enjoyed doing Play Dough with the kids. Forget using the cookie cutter shapes, she is brilliant on her own. I am no where near my mom’s talent with art (and play dough), but I give it my best and my kids love whatever I make! Throughout the years, I have bought my fair share of Play Dough and it has been worth it to watch my kids spend time using their imaginations to make shapes, animals, spaghetti and meatballs, ice cream, and many other fascinating creations! I volunteered to make purple Homemade Play Dough for my daughter’s Junior Kindergarten Class and we had a fun time mixing and kneading the dough. From now on, when we want or need new Play Dough, I will make it at home, in any color we want. It is quick, easy, and fun to make Homemade Play Dough with your children and it would be a good gift for your children’s friends or cousins. When you first mix all of the ingredients, the dough is hot, so have an adult start kneading and once it cools down, your child can take over! Have fun! 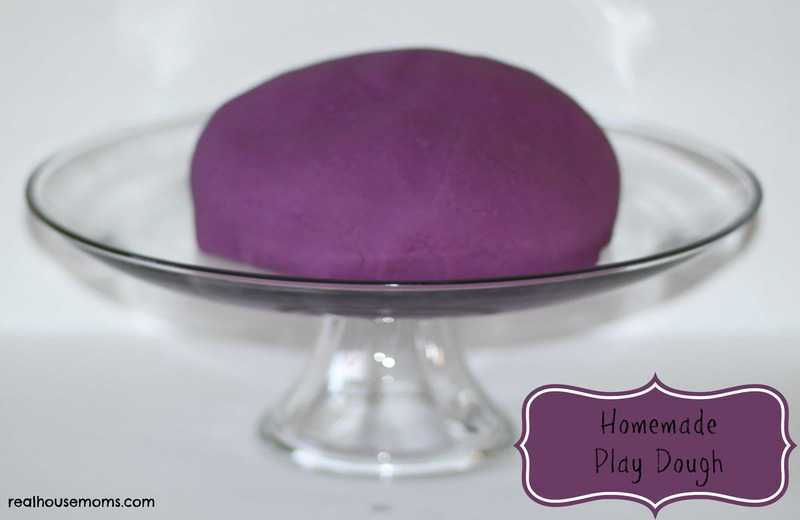 Homemade Play Dough is quick, easy, and fun! Your children will love to help make it and then create amazing masterpieces. Thank you so much Emily! It did smell good and way better than the usual play dough smell! 🙂 I will definitely share it at your Pin it Thursday Party! Thank you!